Visit the Retreat Schedule for an overview of available training locations. For information about CE credits visit the CE Credits page. edge interventions, effectively and safely. innate potential and loving Being. peak performance in life and work. 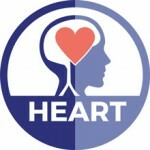 Go to the HEARTraining Curriculum for more information. See Career Trajectory for an infographic on training trajectory.